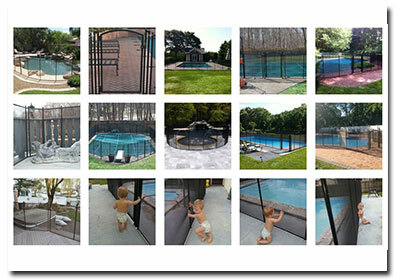 Take a look at some recent removable pool fence pictures. Photos of pool fence installed on concrete, paving stone, tiles, wood and grass. One thing remains the same, the quality installation and product. Life Saver New York is insured and provides both work and product warranties. We take pride in doing the best removable pool fence installations possible! Life Saver Pool Fence New York invites you to visit our video gallery to see removable pool safety fence related videos. You will learn more about pool safety statistics, watch Life Saver client testimonials, and witness the solid fabrication of America's best removable pool fence - the Life Saver Pool Fence!